1800-1849 Video from History Songs mp4 Video 3 + 1 to 3 + 9 mp4 Test Video Sing Along from "Addition Songs"
Sing along and learn all the facts from 5+1 to 5+9. Sung in echo style. Read along and learn about The Passover, The Exodus, The Ten Commandments and Wandering in the Wilderness. 4 Stories narrated by Steve Lossing and illustrated by Jim Padgett. Read along and learn Bible Stories about Joshua, Gideon and David from the Old Testament. Narrated by Steve Lossing. Illustrations by Jim Padgett. Read along and learn about Solomon, Elijah and the Prophets of Baal, Elisha, Naaman and Jeremiah. Narrated by Steve Lossing. Illustrated by Jim Padgett. Read Along and learn about the promises God made about the Messiah, the Birth of John, the Birth of Jesus and the Baptism of Jesus. Narrated by Steve Lossing. Illustrated by Jim Padgett. 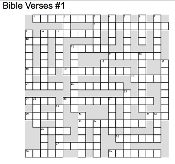 Read along and learn 7 stories about Jesus: Temptation of Jesus, Jesus Starts His Ministry, The Good Samaritan, The Rich Young Ruler, The Unmerciful Servant, Jesus Feeds 5000, Jesus Walks on Water. mp4 video narrated by Steve Lossing. See preview. Read along and learn. Jesus heals the madman and a sick woman. He tells The Story of the Prodigal Son and more. Narrated by Steve Lossing and Katherine Abbot. Read along and learn about The Transfiguration, Lazarus Raised, The Betrayal of Jesus, The Trial of Jesus. Narrated by Steve Lossing. Illustrated by Jim Padgett. Read along and learn about The Cruicifixion, The Resurrection, The Ascension, Pentecost and The Early Church. Narrated by Steve Lossing. Illustrated by Jim Padgett. Read along and learn about Isaac and Rebekah, Jacob and Esau, Joseph, Moses and the 10 Plagues. Free lyrics here. Cursive practice. Read along from the Bible John 1: 1-13. Words are on the screen with music and pictures. All of Luke chapter 18 from the World English Bible with illustrations from the Read and Grow Picture Bible and narration. Read-along Bible Story narrated by John Lieder from Jesse Lyman Hurlbut's Bible Story book. Includes pictures from the Read and Grow Picture Bible. mp4 video is downloadable. Read-along Bible Story from Genesis about how sin entered the world. mp4 video download has words on the screen and audio. USA Maps (1 blank, 1 colored) and lyrics of States and Capitals Songs. Printing practice for each song. 7 pages. Read along with the famous Christmas story. 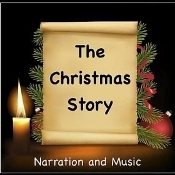 Music, narration, pictures and sound effects are added. Learn about how Abraham and Sarah became parents and about the big test of faith that Abraham experienced. See the amazing promise that God gave them. This is a read-along story from Genesis. The mp4 video is downloadable. 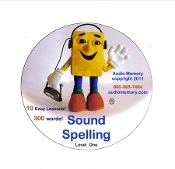 Learn to read 126 3-syllable words with rhythm, rhyme and music. 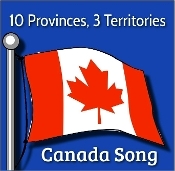 Eastern Border USA States Video + Test mp4 from "States Songs" Greenland Sing-Along Video mp4 from "Geography Songs"
mp4 Sing-along video with lyrics. No voices. Patriotic Song by George M. Cohan. See preview here. Downloadable movie (24 minutes) teaches 126 3-syllable rhyming words that end in "ATE." See preview. A sing-along movie version of the 1607 Song from Larry Troxel's "History Songs" with lyrics and pictures about the Pilgrims and the Puritans. Sing along with the movie and then take the test. Sing-along m4v Movie from Geography Songs about Mexico. Followed by a fill-in-the-blanks test. Learn the British Isles Song from Geography Songs by watching this sing-along video. This is one of 33 Geography Songs. Learn and test the lyrics of the "Asia Song" from "Geography Songs." Download works on Mac and PC. Learn the names of the countries of the Middle East. Sing along and learn the song. Then take the test. Fun for all ages. Sing-along and learn the names and locations of the countries in the Horn of Africa. You will hear and see the song 2 times. The second time is a fill-in the blanks test. 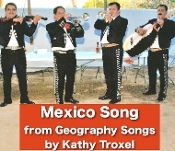 This is one of 33 Geography Songs by Kathy Troxel. 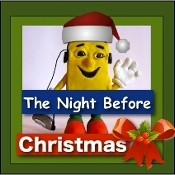 Read-along movie download with music background of John 1:1-13 from the Bible. Sing-along and enjoy George M. Cohan's patriotic song. Lyrics on the screen in sync with the music.